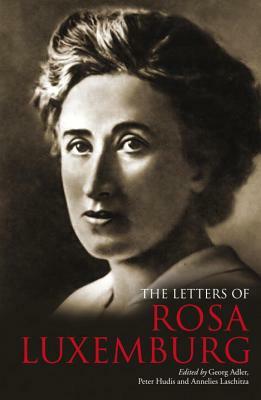 This is the most comprehensive collection of letters by Rosa Luxemburg ever published in English, including 190 letters written to leading figures in the European and international labor and socialist movements Leo Jogiches, Karl Kautsky, Clara Zetkin and Karl Liebknecht who were her closest friends, lovers and colleagues. Many of these letters appear for the first time in English translation; all help to illuminate the inner life of this iconic revolutionary, who was at once an economic and social theorist, a political activist and a lyrical stylist. Her political concerns are revealed alongside her personal struggles within a socialist movement that was often hostile to independently minded women. This collection will provide readers with a newer and deeper appreciation of Luxemburg as a writer and historical figure. Rosa Luxemburg (1871 1919) was a Polish-born Jewish revolutionary and one of the greatest theoretical minds of the European socialist movement. An activist in Germany and Poland, the author of numerous classic works, she participated in the founding of the German Communist Party and the Spartacist insurrection in Berlin in 1919. She was assassinated in January of that year and has become a hero of socialist, communist and feminist movements around the world. Annelies Laschitza, based in Germany, has produced a number of works focusing on the history of the labor movement in Germany at the end of the 19th and the beginning of the 20th Century century. She has achieved worldwide recognition for editing of the Collected Letters of Luxemburg [in 6 volumes] as well as serving as co-editor of Luxemburg s Collected Writings [in German]. She worked as a consultant for Margarethe von Trotta s film Rosa Luxemburg  and has produced an important [600-page] biography of Luxemburg, "Full of Life, Despite Everything." Her work on Karl Liebknecht includes the book, "The Liebknechts, Karl and Sophie: Politics and Family" the most comprehensive study of the life and work of Karl Liebknecht. Peter Hudis is a Lecturer at Oakton Community College. He coedited "The Letters of Rosa luxemburg"; "The Rosa Luxemburg Reader"; and Raya Dunayevskaya s "Selected Writings on the Dialectic in Hegel and Marx.""